Waddling over the rocks, legions of penguins hurl themselves into the icy waters of Antarctica, foraging to feed their young. Like seals and whales, they eat krill, an inch-long shrimp-like crustacean which forms the basis of the Southern Ocean food chain. 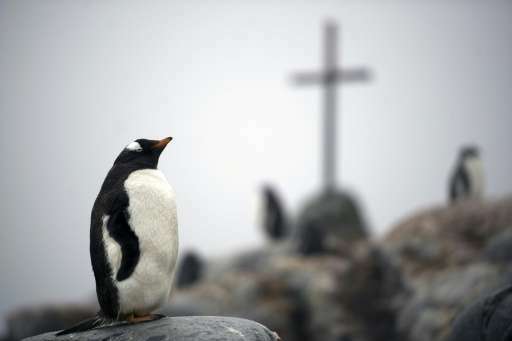 But penguin-watchers say the krill are getting scarcer here around the western Antarctic peninsula, under threat from climate change and fishing. 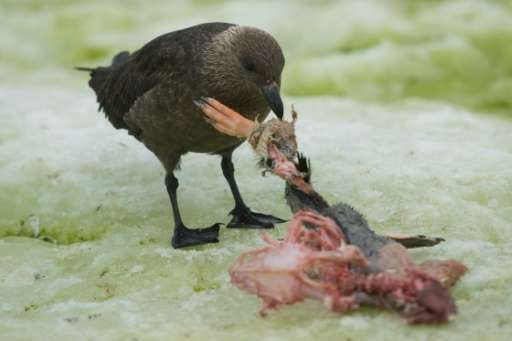 "Krill is the power lunch of the Antarctic. It's a keystone species for everybody," says Ron Naveen, leader of the US conservation group Oceanites, as penguins squawk on the rocks behind him. In a vast ocean whose water flows influence the whole planet, krill rely on the sea ice to protect them and provide algae to feed them while they grow. The ice is getting scarcer. The peninsula has warmed by three degrees Celsius over the past half-century, according to groups such as the World Wildlife Fund. Scientists suspect that shifting ice patterns are effecting penguin populations. "The interaction between warming temperatures, increasing ocean acidity and of course to some extent, although that's not clear yet, an interaction with the fishing industry fishing for krill, will put pressure on predator populations that are mostly krill feeders," such as penguins, says Steven Chown, a biologist at Monash University in Australia. On the rocky shores and blue icebergs of the peninsula and its islands, brown fur seals bark and jostle each other. 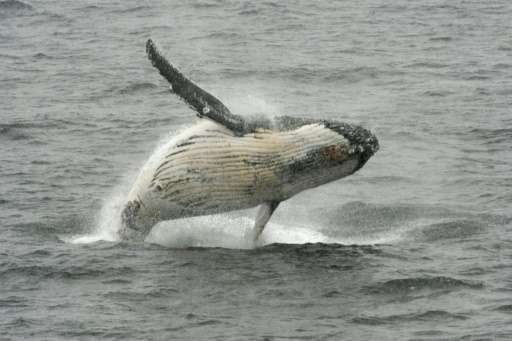 Humpback whales flash their white bellies as they heave out of the depths. Among hordes of orange-beaked Gentoo penguins waddles the occasional Adelie penguin with white rings round its eyes, or the Chinstrap, with a fine black stripe at its throat. The International Union for Conservation of Nature (IUCN) says Adelies and krill are both potentially threatened by future climate change. Species such as Adelies are also threatened by krill-fishing, it says. The Antarctic creatures are having to share the krill with humans. "Krill fishing may be occurring too close to where the penguin breeding colonies are," says Naveen. "And perhaps more importantly, areas where the penguins are foraging." Fishing boats catch 300,000 tons of krill a year, the IUCN says, made into feed for farmed fish and "Omega 3" oil supplements, said to soothe sore joints and other complaints. 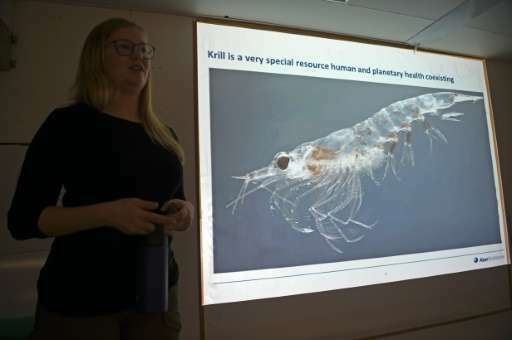 Cilia Indahl, head of sustainability at Norwegian fishing company Aker BioMarine, says the total amount of krill caught is just 0.5 percent of the 60 million tons eaten each year by sea creatures. But the company has developed a method to minimize environmental harm, she says. The boats trawl slowly, using special filtered nets to avoid catching other creatures. "We will also have to consider where we fish for krill, making sure that there is minimum overlap with other animals like penguins and whales and where they feed," she says. Fishing in Antarctica is monitored by the Commission for the Conservation of Antarctic Marine Living Resources (CCAMLR). Member countries must agree between them on catch limits and no-fish areas. Environmentalists insist that CCAMLR renew key regulations on krill fishing when it gathers for its annual meeting in October. "There's going to be a fight about whether or not the subdivision of the krill catch, that protects foraging predators like penguins, will be continued," says Andrea Kavanagh, head of the penguin conservation campaign of The Pew Charitable Trusts, a US non-government organization, referring to the system of restrictions on krill fishing in certain areas. "Some countries such as Russia and China indicated they did not see the need for it at last year's meeting. They want to be free to catch as much krill as possible near the Antarctic Peninsula, including right next to penguin colonies that have been in decline for the last three decades." 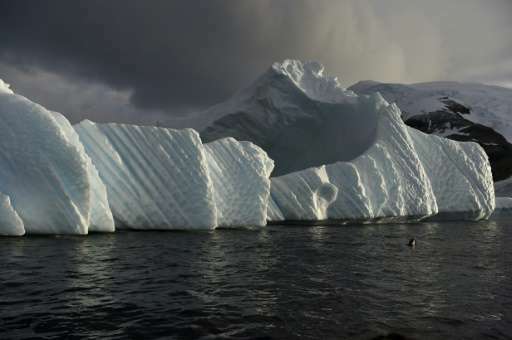 Some countries have proposed setting aside a big protected zone in the Ross Sea, a remote, unspoiled Antarctic area of rare species. But campaigners and officials involved in the talks complain of resistance by China and Russia to that proposal too. Chinese foreign ministry spokesman Hong Lei told AFP that China agreed to support the Ross Sea plan after it was modified to strike a better balance "between protection and the rational use of resources." But the Russian fisheries ministry told AFP in a statement that the system of fishing regulations overseen by various other world bodies "fully meets modern requirements in respect to the conservation of biodiversity and does not require any radical changes." Campaigners say agreement on conservation measures will be crucial for the future of the region, considered one of Earth's last wildernesses. "I feel when I'm here like I'm on the front lines of climate change," says Naveen, who has spent 22 years counting penguins. "It's happening right now and these penguins are trying to adapt. They're sending messages to us about how the planet is changing."